I've been having so much fun playing the game, currently deep in the Dunwich campaign. But the characters cards are unwieldy to use on their own and takes up too much space on the table. I've seen solutions to this discussed in other threads, eg putting the cards in stands, using tokens, meeples. 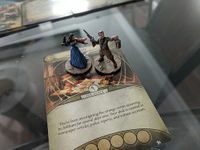 And you can sit them down to signify their turn is over, tooooo cool..
We're about to start a game with these period pieces from Fury of Dracula (third/fourth edition)! 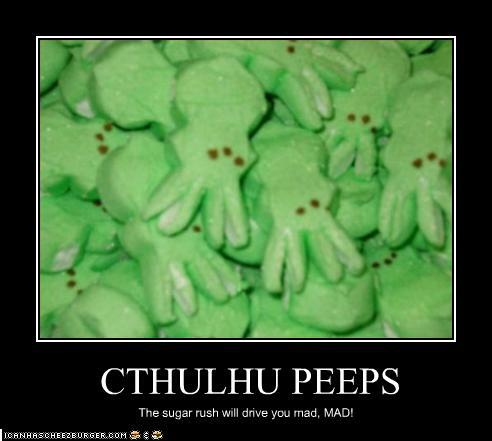 Peeps are a great idea! Sorry, I threw mine away about forty years ago.